Q. Is there popular reading? 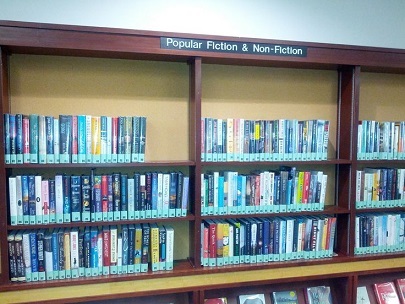 Yes, the library has a browsing popular reading collection on the first floor near the water fountain and DVDs, which features popular fiction and nonfiction works. If you're looking for a particular book, search the catalog. It may be in the popular reading collection or the general circulating collection.